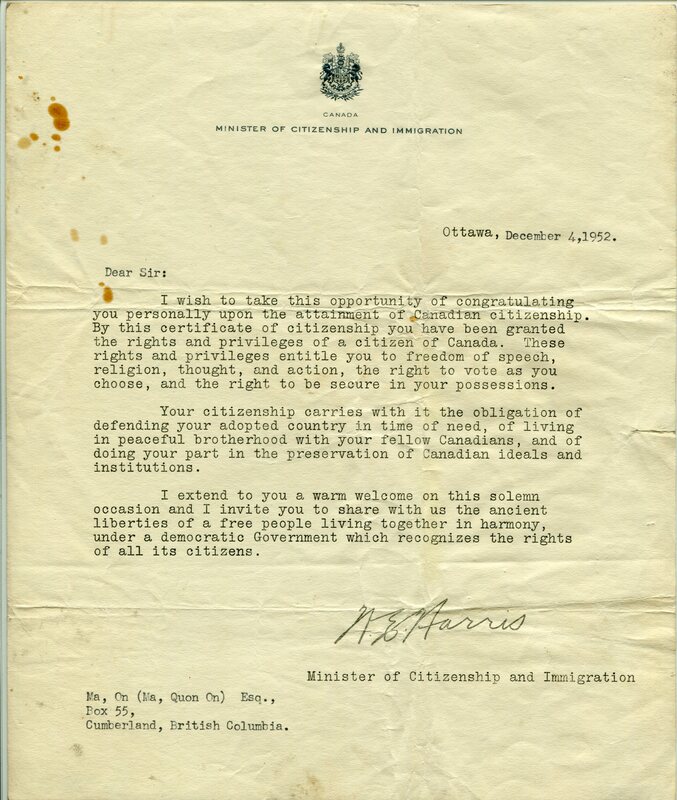 ItemCUMB_985.038.001 - Congratulatory Letter from Minister of Citizenship and Immigration Regarding Granted Canadian Citizenship. Item CUMB_985.038.001 - Congratulatory Letter from Minister of Citizenship and Immigration Regarding Granted Canadian Citizenship. 24.5 x 21 cm; 1 letter; white, black printing.